I've been tweeting film reviews for some time, and I've always wanted to document them in a post. 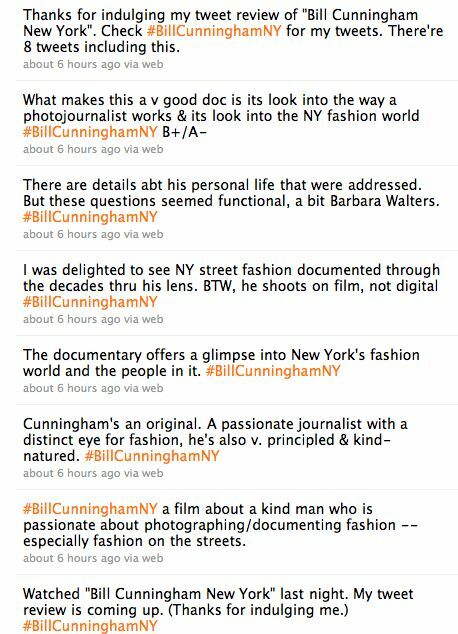 Here's a slight re-write of my tweet review of Bill Cunningham's New York which I posted yesterday. I used the hashtag: #BillCunninghamNY. A screengrab of my tweets is below. 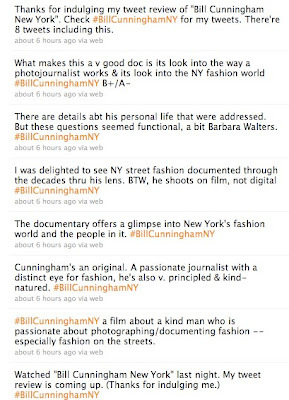 Bill Cunningham New York a film about a kind man who is passionate about photographing/documenting fashion -- especially fashion on the streets. Cunningham's an original. A passionate journalist with a distinct eye for fashion, he's also v. principled & kind-natured. 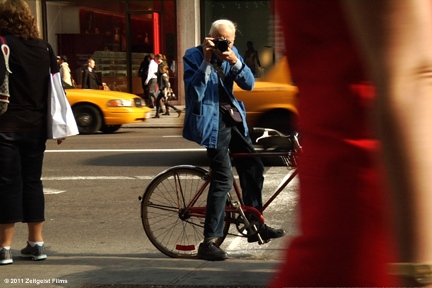 The documentary offers a glimpse into New York's fashion world and the people in it. I was delighted to see NY street fashion documented through the decades thru his lens. BTW, he shoots on film, not digital. There are details about his personal life that were addressed. But these questions seemed functional, a bit Barbara Walters.